Work on your punching power and speed with the Amber Sports Weighted Gloves! Holding a small weight in your hand has been something boxers have used for time and time again. The Amber Sports Weighted Gloves offers this age-old tradition in a more ergonomic design. It comes in 2 varying weights, 4lb or 6lb (on each hand) and comes sold in pairs. This is only meant to be used for shadowboxing, working on hand speed and arm endurance. 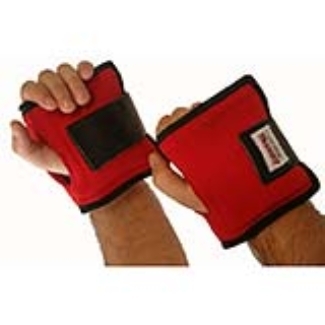 Please do not use the Amber Sports Weighted Gloves on a heavy bag. The Amber Sports Weighted Gloves are available at MMA Outlet.